In 2015, when ‘Lien’ was 16 years old, she was tricked into going to China with the promise of a high paying job. But when she arrived, she was forcibly held and met with an impossible choice: Be sold into a forced marriage or into a brothel. Lien “chose” to be sold as a bride. After some time, Lien was able to secretly call her family for help, and after the case was referred to Blue Dragon, a rescue plan was devised. In November 2018, Blue Dragon rescued Lien and brought her back safely to Vietnam. She stayed in the Blue Dragon safe house while she received psychological treatment to overcome her ordeal. 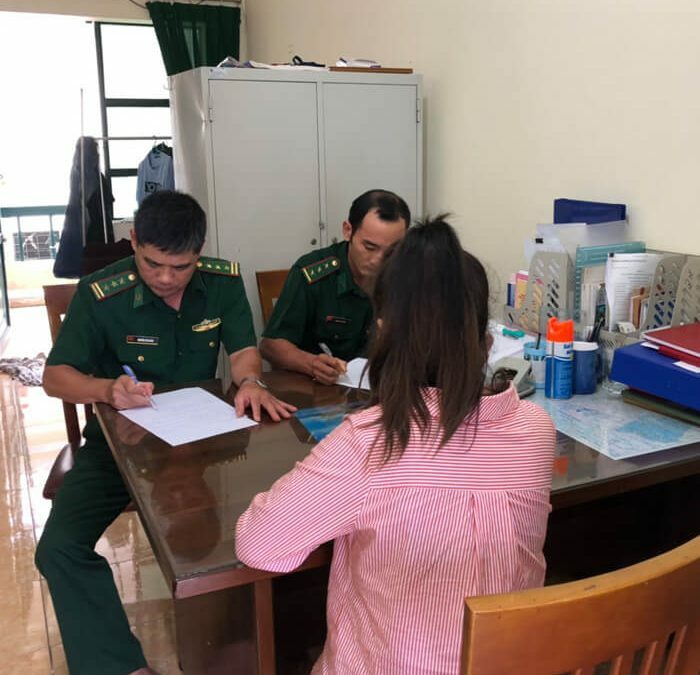 Once ready, Blue Dragon then supported Lien to make a statement to the police so they can capture her trafficker, and reunited her with her family. The name Lien means ‘lotus’ in Vietnamese: a flower that grows in muddy water and rises above the surface to bloom with remarkable beauty. Lien has been through some terrible times, but now the future is hers and she is ready to bloom.